New doesn’t always mean Improved; while an improvement doesn’t always mean better. Marketers always seem to be screaming as us consumers that something is “NEW!” and “IMPROVED!”, which leads me to wonder just what the hack needed to be “NEW!” and/or “IMPROVED!” in the first place. Don’t change my favorite breakfast cereal by adding a few more marshmallows and holler at me that it’s somehow better the before, because most often, it is not. Truth is people don’t like change. We like consistency, sameness; not more marshmallows. Redoing a product and making it “NEW!” and “IMPROVED!” doesn’t always work out so well. Think about the new Coke formula (don’t laugh Pepsi, how’d that Crystal stuff work out for you?) or how about the re-launch of the Thunderbird, or the SSR? Point is that making something “NEW!” and “IMPROVED!” doesn’t mean it will necessarily work out. There are cases however that improving on something can indeed make it better. We need to look no farther than Hyundai for just such an example. 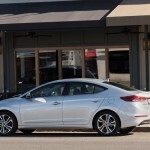 The Elantra has been a decent compact car since it was released upon the world in 1990. 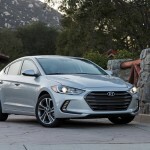 The fifth generation debuted in 2011 and the Elantra has been the second best seller for Hyundai behind the Sonata for a while. Because it was time. 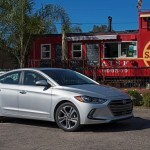 While good, the Elantra was due for a change. For 2017 it got just that. 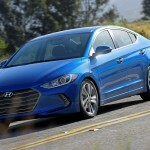 And behold we have the sixth generation of the Hyundai Elantra. I had this new generation to try for a week recently. 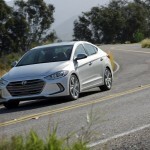 Having become a Hyundai convert in the past few years, we knew we would like the Elantra. And we were still liking it at the end of the week. 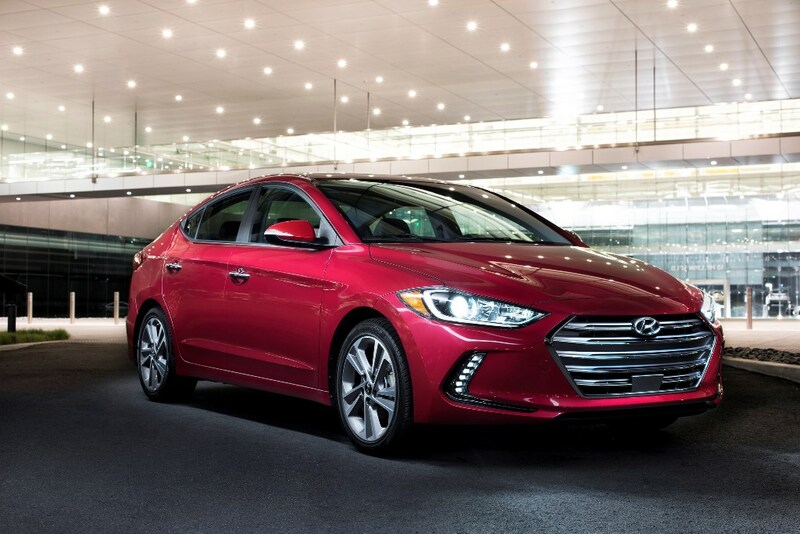 For 2017, the Elantra gets new styling, a more upscale interior, and new tech offerings. 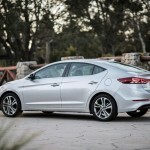 Put into perspective the Elantra has always given a driver a lot for the money; this new generation gives us even more. The 2017 Hyundai Elantra is a front-wheel drive, four-door compact sedan available in three trim levels: SE, Eco and Limited. The base SE model comes loaded with full power accessories, AC, a tilt-and-telescoping steering wheel, a 60/40-split folding rear seatback and a six-speaker sound system with satellite radio and a CD player on top of 15-inch wheels. The Eco level adds the Popular Equipment package with automatic headlights, 16-inch alloy wheels, heated side mirrors, cruise control, a 7-inch touchscreen, a rearview camera, Bluetooth phone and audio connectivity, smartphone integration and steering wheel controls, but no CD player. The Popular Equipment package is available as an option on the SE. If you add the Popular Equipment package you can also add the Tech package with add-ons such as keyless ignition and entry, a hands-free trunk opener, LED daytime running lights, blind spot monitoring with rear cross-traffic alert, a leather-wrapped steering wheel, heated front seats, dual-zone automatic climate control and sun visors with extensions and vanity mirrors. My tester for the week was the Limited that includes the options from the Popular Equipment and Tech packages, but adds some more chrome body trim, LED taillights, leather upholstery, a power-adjustable driver seat with power lumbar adjustment, Hyundai’s Blue Link system atop of 17-inch alloy wheels. 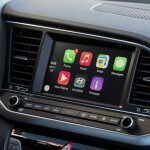 The Limited also had its own Tech package with a sunroof, heated rear seats, an 8-inch touchscreen, a bigger driver information display, a navigation system, a auto-dimming rearview mirror, and an eight-speaker Infinity sound system. 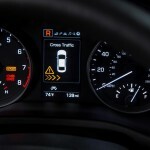 My Limited also had optional Ultimate package that added adaptive cruise control, forward collision warning and mitigation, lane departure warning and intervention, driver memory settings and adaptive xenon headlights. 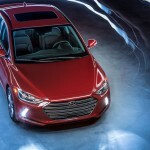 The SE and Limited models have a 2.0-liter four-cylinder powerplant under the hood with 147 horsepower and 132 pound-feet of torque, up from the 1.8-liter engine on the older Elantra. 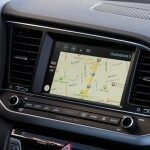 A six-speed manual transmission is standard on the SE; a six-speed automatic is optional on SE and standard on Limited. The Eco model has a turbocharged 1.4-liter engine mated to a seven-speed dual-clutch transmission tuned for better fuel mileage. The 1.4 puts out 128 horsepower and 156 lb-ft. of torque. 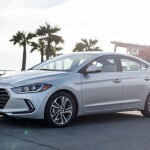 The new generation of Elantra car is almost an inch longer and wider than the old Elantra and the new look is very up to date with a great looking signature hexagonal grille and a sporty lower front fascia. The bit wider and longer stance not only looks good, but has given extra space to the rear seat head, shoulder and legroom. 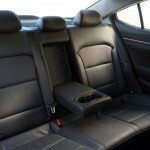 The front seats have lost a bit of head and leg room but the backseats have gained a bit. Rarely has a manufacturer given more room in the backseats in a compact car so it was a nice surprise to see enough room to actually carry adults in the backseat. Up front though the room was more than adequate and the front seat was very supportive and comfortable. 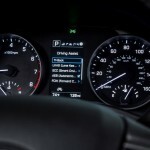 The overall layout was well done and the gauges easy to read. 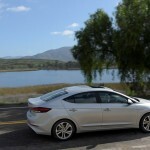 On the road, the good story continues for the Elantra. The 2.0 liter engine has plenty of power for everyday use with a pleasing mpg rating of 28 city, 37 highway and 32 combined. We got nearer to 33 mpg during our week spent on the back roads and highways of Central Florida. The transmission responded when needed and the view was as good as it gets. 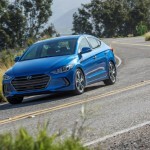 Putting all this in perspective, the Elantra can be had for well under $30,000, and after our week with it, in our opinion is one of the best values in its class. Our top of the line tester topped out at $27,710, which with all the goodies contained within, makes the Elantra one of the best values in a compact car on the market. 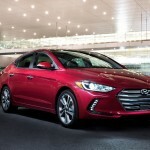 For once “NEW!” really does mean “IMPROVED!” as Hyundai has proven with the new generation of Elantra. 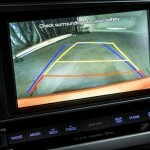 For those in the market for a compact car, it needs to be on your shopping list. Now please excuse us we need to go pick marshmallows out of our breakfast cereal.